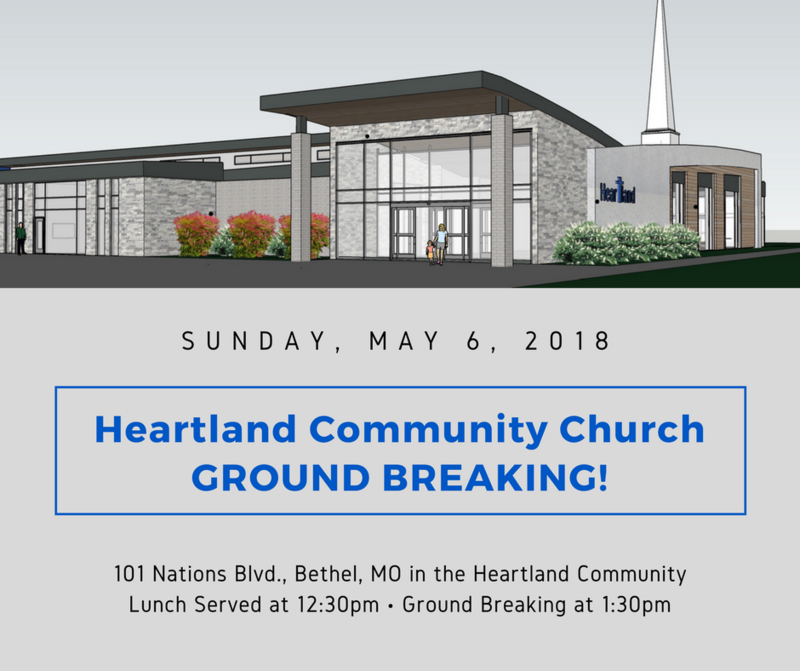 Heartland Community Church is pleased to announce the groundbreaking ceremony for our new church building at 101 Nations Boulevard, Bethel, Missouri. We look forward to more effectively serving families and individuals in Heartland and surrounding communities through this new facility. For almost 22 years, we have held church services in the Heartland Christian Academy school gymnasium. We are excited about building a new facility which will include a dedicated sanctuary for worship services and church activities, offices, classrooms, and a large foyer area for fellowship. We are extending an invitation to you to attend our groundbreaking ceremony for this new church building on Sunday, May 6, 2018. Lunch will be served outside on the grounds in the Heartland community at 12:30pm, with the groundbreaking to follow at 1:30pm. We would be honored by your attendance as we begin this new venture. God has been good to us, and we look forward to sharing this special day with you. If you are able to attend please let us know by contacting Debbie Cowans, at 660-284-6330 or dcowans@hlcommunity.org. Your continued support of our church community is greatly appreciated.